AURORA, CO, November 25, 2016	(Newswire.com) - ​Giving back is an important part of the company culture at Mammoth Marketing. For the month of November, the team decided to support the Movember charity to help raise awareness for men’s health. “For each like or share we receive on our relevant Movember Facebook post, we will donate $1.00 to the Movember Foundation,” said Meghan, Director of Operations at Mammoth Marketing. 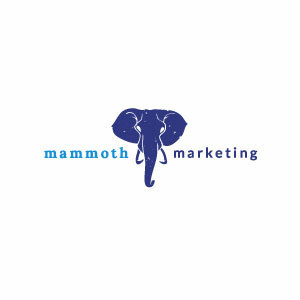 A couple team members shared their stories about loved ones who were diagnosed with cancer and immediately the Mammoth Marketing team wanted to do something to help. Meghan, the director also dealt with a similar life change with her father, also diagnosed with testicular cancer. “I didn't see the worst times when he lost his hair and became weak and stopped working but I know how hard it was for my mom and siblings that experienced the cancer day by day. We were lucky that it was caught early and unlikely to spread. I am so grateful for his smooth recovery and my family and friends support through this. I know many people are not that fortunate,” said Meghan. Giving back to the community, especially when supporting charities that matter so much to associates, helps the Mammoth Marketing team feel great about their efforts and brings everyone closer together. “Supporting men’s health awareness is something new our team decided to do this year and I really think we’ve been able to make an impact and feel good about what we did,” said Meghan.